We own a pool. It’s expensive. If it didn’t come with the house we bought, I would never purchase a pool. Maintaining a pool means buying chemicals, testing water, using power to run the pump (and heater if you have one) and using water to top off the pool. Currently, we’re having some major repair done to our pool that required it be drained. That means at some point we need to fill it back up. Our pool is 13,000 gallons or so, but since it’s the end of the pool season, we’re only going to fill up about 8,000 gallons and let the winter rain and snow fill up the rest. But the problem lies in paying for 8,000 gallons of water. We could have it trucked in, or get the fire company to tap a hydrant. Instead, though, we’ll just use our hose to fill it up over a couple days. The reason? Water is cheap. One problem though. Sewer charges are NOT cheap. If you pay a water utility bill, most likely you pay for both water and sewer. At least for our water utility (the city of Rockville, MD), water in = water out. That means if we use 8,000 gallons to fill the pool, we pay for 8,000 gallons of sewer, even though none of it is going into the sewer. We’ll be paying $34 more than we need to fill up this pool. Even though $34 is chump change when you’re talking about thousands of gallons of water, it’s still money. And it’s something we have to deal with each year. While this is the first time our pool has been empty, we DO need to top it off each year, multiple times, thanks to evaporation and belly flops. So this time, I decided to call the city to ask what can be done about not paying the sewer fees for this water usage. That’s when I found out about the “pool book“! If you have a pool, call your water company to find out if they have something like a “pool book” that tracks their customers who own pools. We’ve gone 5 years not knowing about this book with our city, and could have save a few hundred dollars by now. Basically, if you’re on the list (i.e. they’ve confirmed you own a pool), you can call when you need to either fill up or top-off the pool, and they’ll send someone out to do a reading before and after you fill it up. In our case, I told them how much I expected to use (8,000 gallons, although it’s an estimate) and when I would start/finish filling. They’re flexible in that I can call Monday and tell them I need another day or two. They’ll credit the appropriate amount (they also compare against average usage) against sewage. Now that I know the “pool book” and this process exist, I’ll definitely be using it more often. (giant sheet of bubble wrap) to reduce evaporation (and chlorine loss), but we still have to throw in a few hundred gallons every so often. 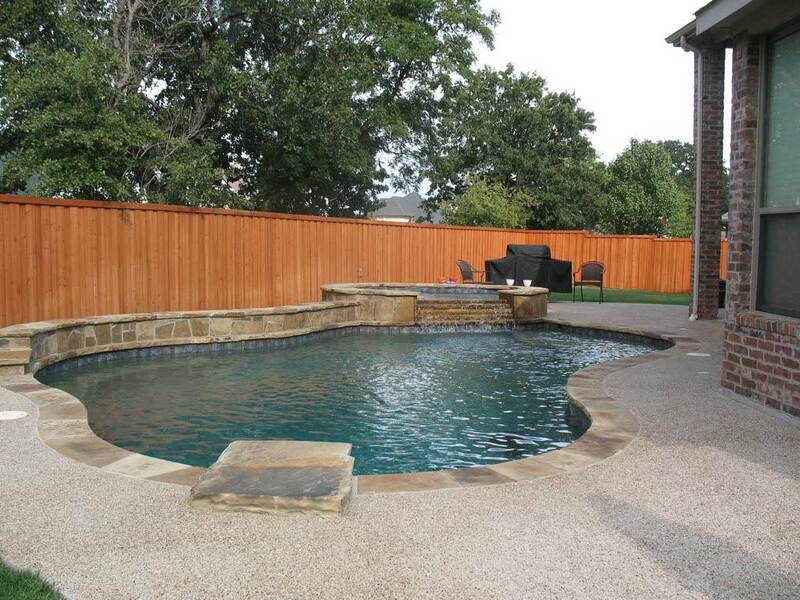 If you are doing anything clever to save money on your pool bills, please leave us a comment below! Readers will want to know about it. How Much Money do Youtubers Make? Review: National Consumer Panel – Pure Awesomeness or Waste of Time? My city deals with the water/sewer issue by making the sewer bill the average water usage over the winter. I live in a Northern climate, so there is no use for water outdoors in winter, but in summer people will water their lawns/gardens, fill pools/wash cars/etc. Worst mistake I ever made, buying a house with a pool. I suggest making it a planter, grow veggies and save money. I always thought I wanted a pool in a house for cheap form of working out and social pool parties, I am glad we do not have it, as I have seen our friends who had a pool, they had to pay someone to fill it as they were scared of their little kids drowning in it (not to mentioned other kids too). How do you keep it safe? @Zengirl, we don’t have kids, but when we host kids (nieces, nephews, friends), we have a rule that an adult must always be outside if the kid is outside, even if the kid isn’t swimming. Also, to keep the neighborhood kids out, it’s law in our county (or state, not sure) to have a 6 ft high fence and locked gate.